A material effect for this collection with a very original texture. 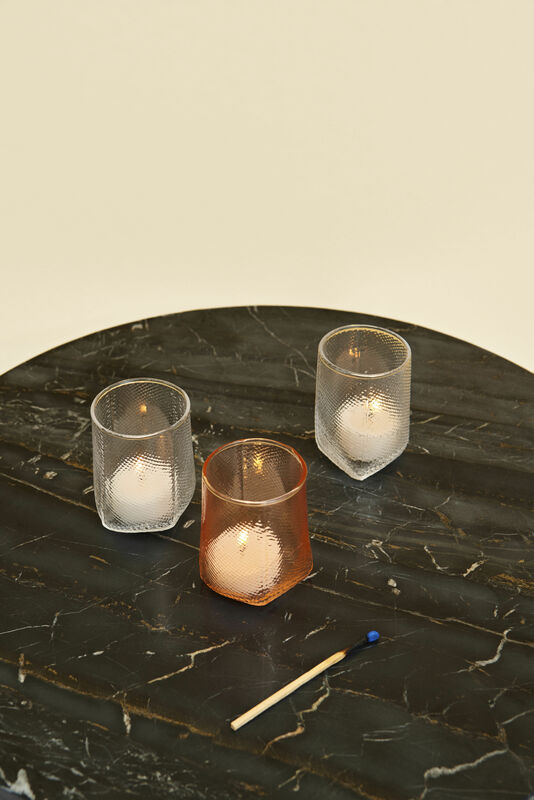 The Tela collection was created originally by experimenting with molten glass blowing in stitched fabric bags. 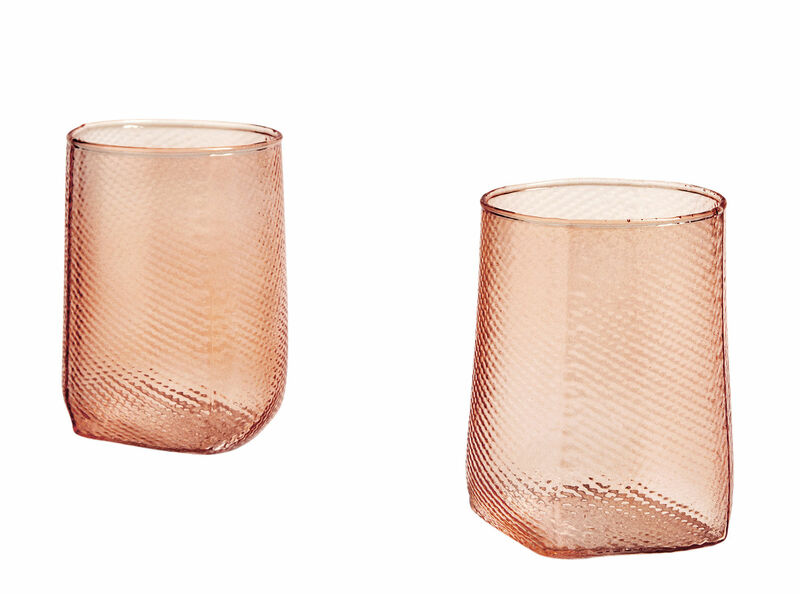 The textured glass reproduces the effect of the fabric: you can make out the intertwining of the threads and the seams. It is as though the glass had been surrounded in heat with a material which left its mark. This very tactile surface provides a sensual look to the item.